7 Sticky Rice Thai food you must try! Traveling to Thailand without trying sticky rice is like going to Japan but not trying their sushi, going to America but not trying hamburger, or going to China but not trying their signature pork dumpling. For Thai people, sticky rice has already become a main part of our meal. Thai people can eat them everyday at anytime. But how do we actually eat it? Today I will introduce you guys 7 Thai savory dishes with sticky rice that you must try next time you come to Thailand. Try them or regret later! Grilled pork stick freshly grilled on the sidewalk in Bangkok. I am absolutely sure you will not be able to resist that delicious smell. Pick how many sticks you want and don’t forget to grab a bag of sticky rice as well. Munch a bit of pork, a bit of sticky rice. Heaven on Earth is right here right now! Chicken fermented in secret sauce mixture, coated the chicken with tasty flour coating, and fried them in hot oil. Grab hot, crispy chicken from the street vendor and eat them with a bag of warm sticky rice. You can even choose the part of the chicken body you wanna eat… wing, breast, thigh, or juicy meat. Don’t forget to ask the local guide to help you order a bag of crispy Chicken skin to eat with your sticky rice. This is really a must-try dish! Many of you guys should already be familiar with spicy papaya salad (som tum) but have you tried eating som tum with sticky rice before? It is the best combo ever! 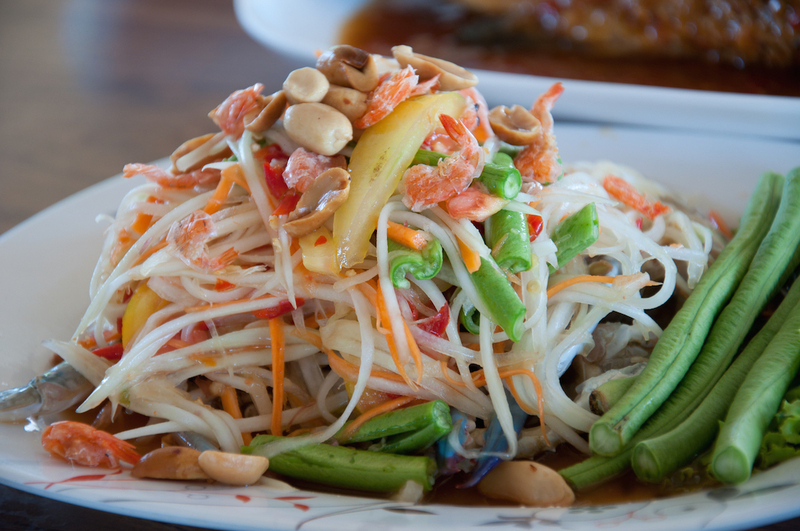 The local eating style is to roll the sticky rice into small ball and dip them into the papaya salad’s spicy, sour sauce before you eat them. Yum, yum! 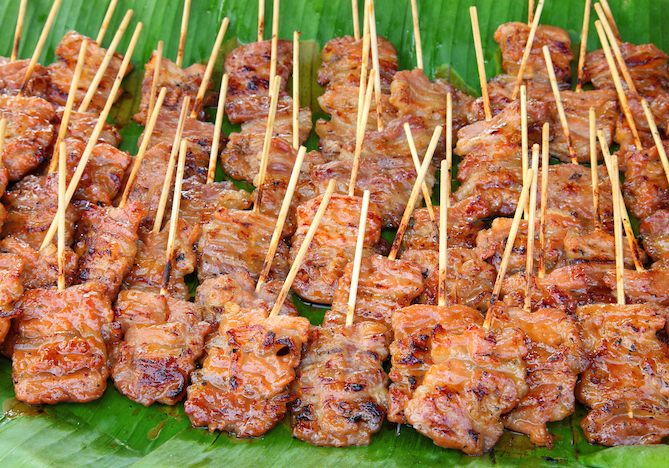 Shredded pork fried in coconut sugar sauce is a local street food that Thai people love. 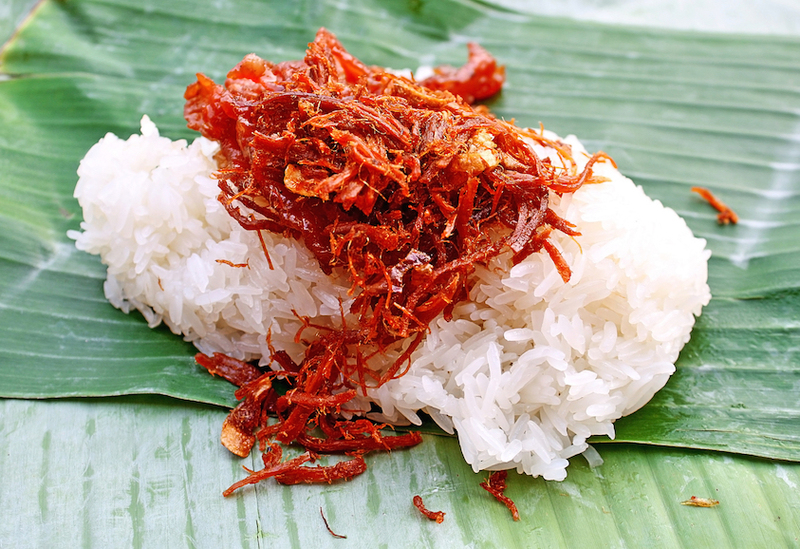 Normally, shredded pork with sticky rice will be topped with fried sliced shallots and served in a banana leaf wrap. It is a ready-to-go meal that can be enjoyed anywhere at anytime. Just open up the leaf wrap and start enjoying it! This snack is actually from Northeastern part of Thailand but right now, it can be enjoyed at many traditional markets in Thailand where there is a big population of Northeastern Thai community around the market. Sticky rice is rolled into a burger-shaped. Salt is sprinkled on top, khao jee is grilled for a while, then it will be dipped into the egg before it will be grilled until it turned brown and crispy. Enjoy! 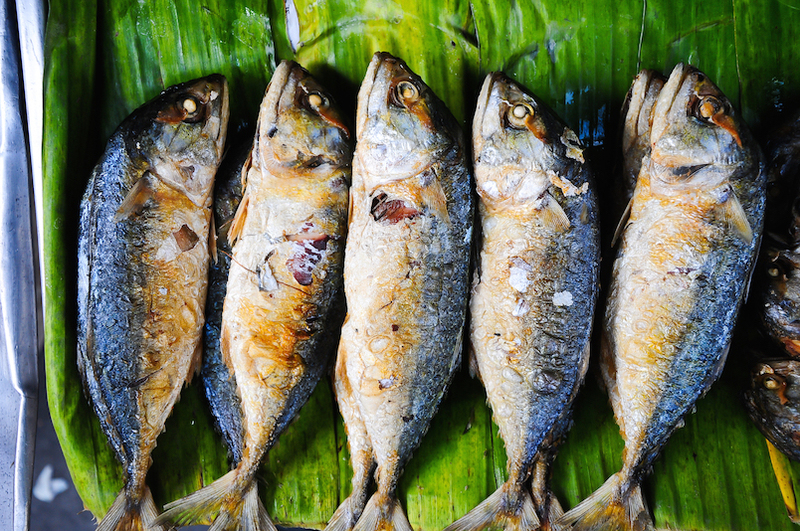 Have you tried fried Thai mackerel before? 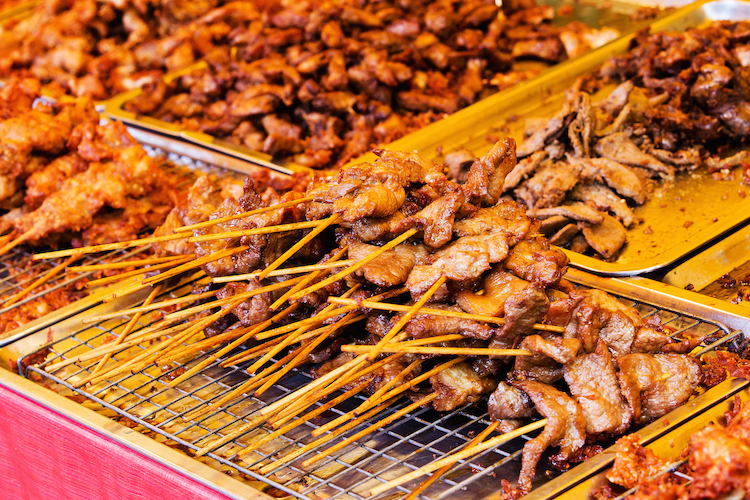 Thai people normally fried them up so that the skin is very crispy and the meat is so juicy and sweet. This fish can be enjoyed with anything but for a simple meal, you can try eating it with sticky rice. And just so you know, Amphawa floating market sells one of the best Thai mackerel. Simple but good! Don’t really want fried chicken? How about grilled chicken on the street then? Grilled chicken marinated in secret sauce overnight, then the chicken is grilled over the grill rack until the skin turn brown. 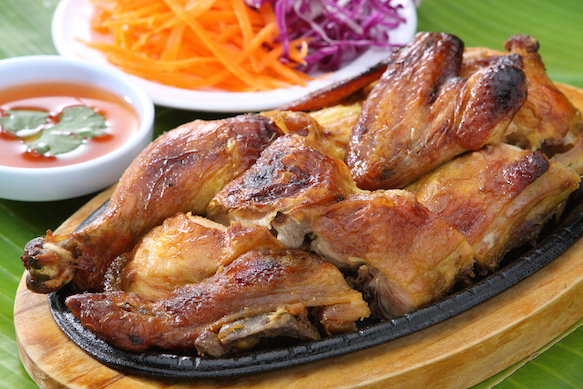 You can enjoy the grilled chicken with just a bag of hot sticky rice or if you want a bigger meal, you can also order a plate of somtum, which will make this one of your best meal ever. Therefore, there are SO many ways you can enjoy a bag of sticky rice in Bangkok. I know it is going to be difficult for you to choose. Why not ask our local guides to help you? They can take you to the best places to enjoy just a bag of sticky rice. What are you waiting for? Let’s go eat sticky rice with the local guides!